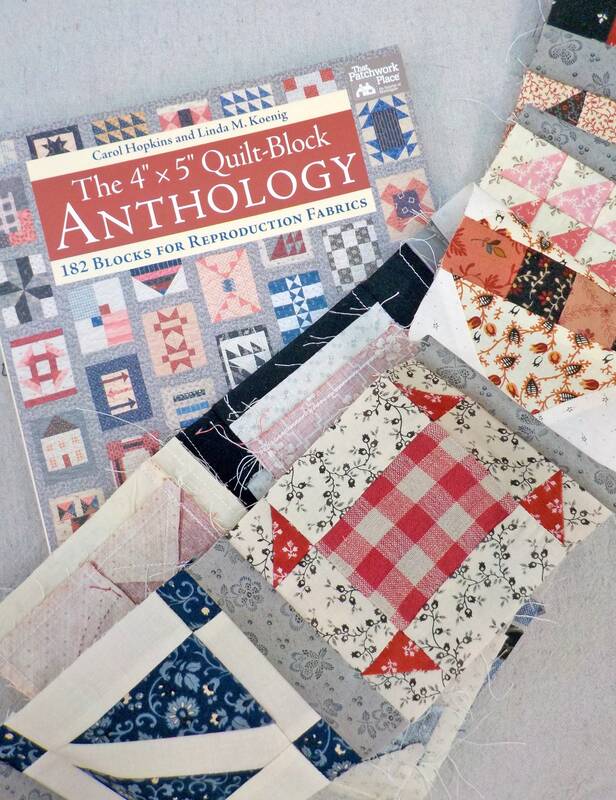 In 2018, Mom decided she wanted to make the Quilt-Block Anthology Quilt...and after some discussion it was decided that each month Mom would pick fabrics for the blocks and then the column would be stitched together and then kits for the column would be made available for purchase. 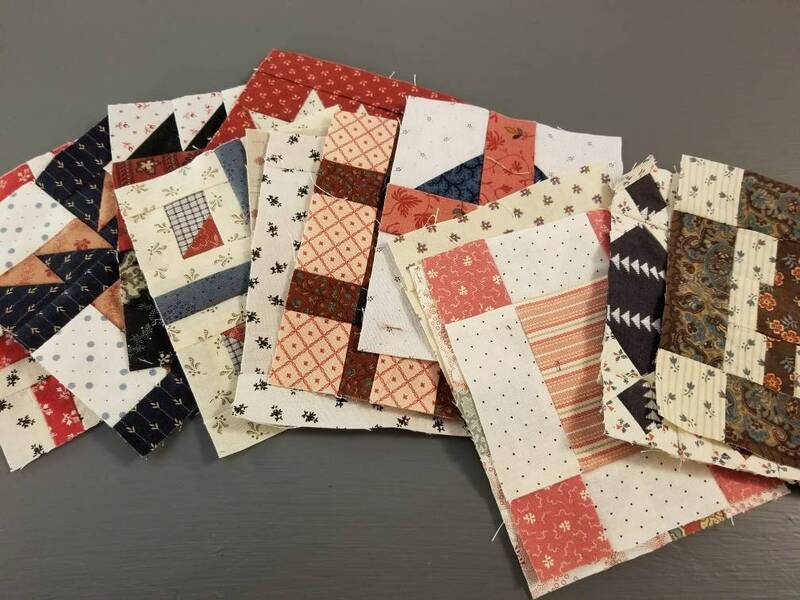 This listing is for Column One and Two blocks kits...with an option to add on the Quilt-Block Anthology Book and or the 4 1/2 yards of gray needed to complete the quilt. if you are looking for just the book...check our books section. 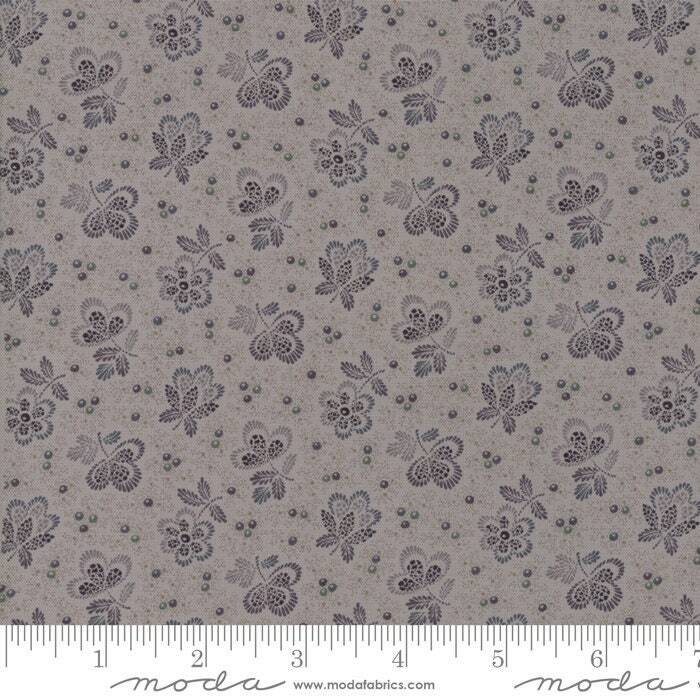 if you are looking for just the gray...check our yardage section. 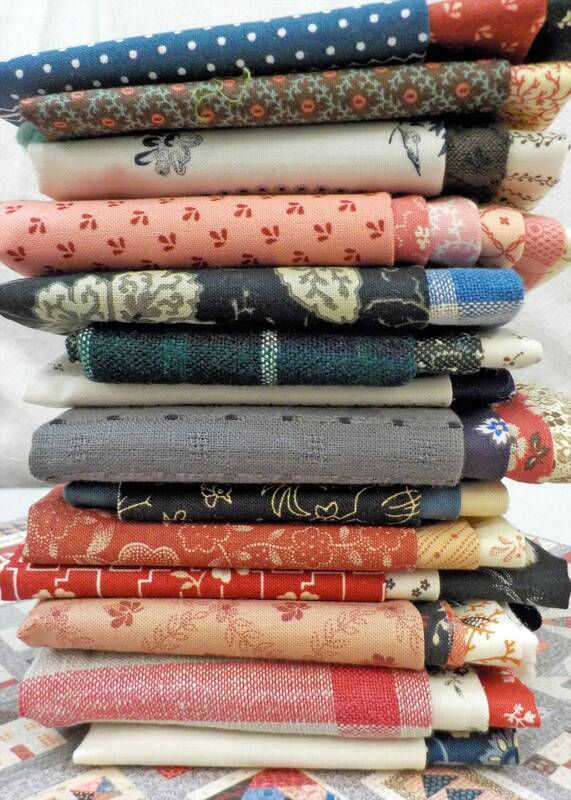 --perfect for working with color placement, design, fabric-pulling etc. 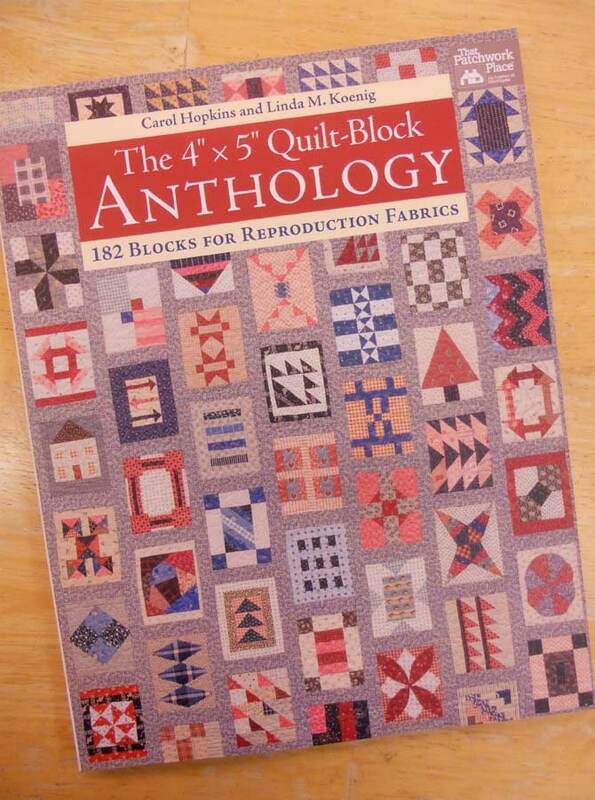 --includes an introduction and the start of the 4 x 5 inch block exchange, information on fabric selection and a section on how to use the book in regards to small quilts and samplers, clubs and groups and tips and information on how to start your own block exchange. 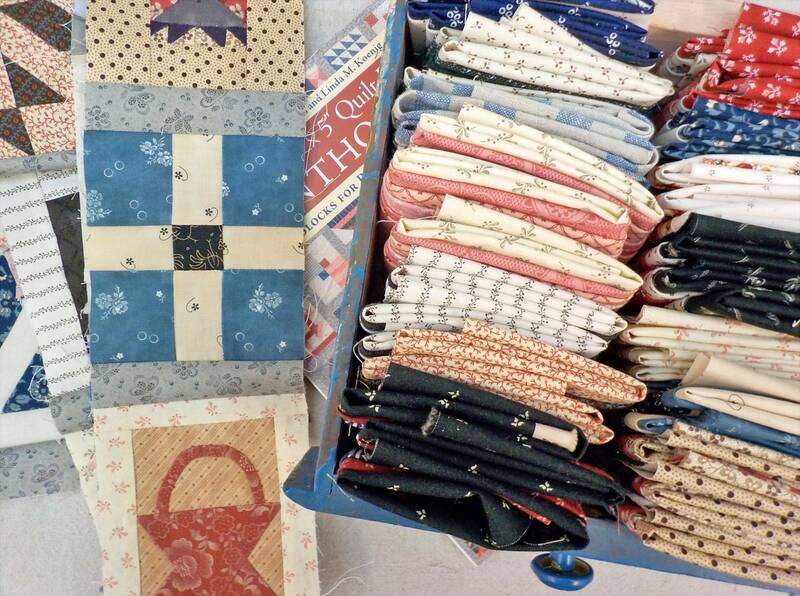 A That Patchwork Place/Martinqale publication.